The Best Shark Dive in the World! 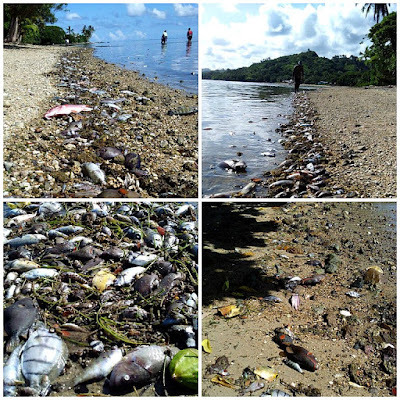 : Fiji - Fish Kills! A friend alerts me to this article. Our new captain Abo hails from Votua Village (= the home of Fiji's best pizza!!! 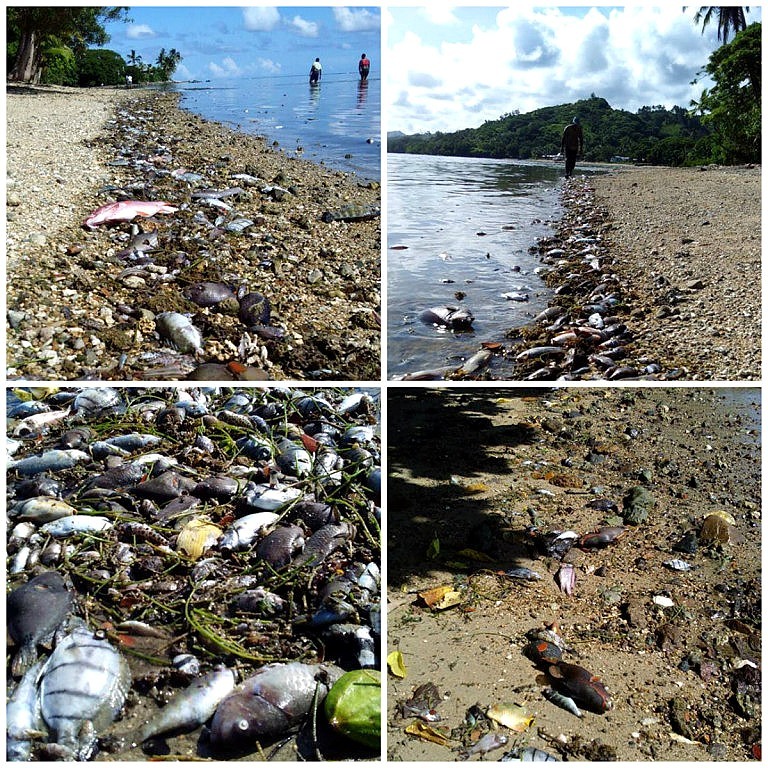 ), and has been reporting about dead Fishes for a while now - but I must say that I would never imagined the extent of the catastrophe! Alas, the cyclone ain't gonna help. The latest forecasts have it pass far to the West and considerably weakened, meaning that we're likely to be stuck with the present unbearable heat for quite a while longer, and that the chances for a widespread coral bleaching event are that much higher. A real shame for Victor Bonito. He has been conducting great, community-based coral restoration work with his Reef Explorer Fiji - and now much of that hard work is at high risk of being wiped out. Alas, the reef top and especially the back reef where Coral growth has been nothing short of spectacular may once again be wiped out - either by the bleaching or by the quasi inevitable subsequent invasion of Crown-of-Thorn Starfish. Not good - and for once I'm not very hopeful. PS - Pacific Beat interview here!